There’s a natural poetry to Alejandro Gonzales Inarritu’s filmmaking. The Oscar winning director behind last year’s Birdman seeks transcendence for his characters, finding the grace in human frailty regardless of the story unfolding. 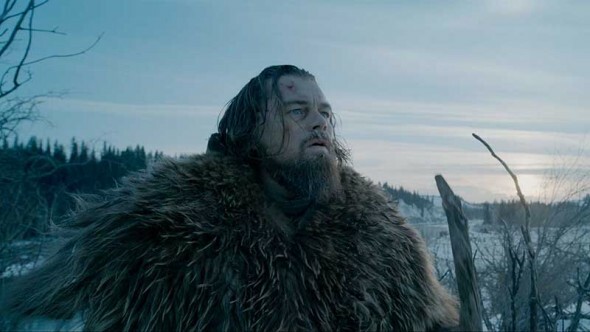 And The Revenant is quite a story. Based loosely on the true tale of 19th Century American frontiersman Hugh Glass, the film treks behind Glass (Leonardo DiCaprio – who can take a beating) as he crawls across hundreds of the most formidable miles to avenge a mighty wrong. With no more than 15 lines in English, DiCaprio manages to capture the essence of this grieving survivor brought to his most primal self. This is easily the most physical performance of his career. DiCaprio is alone for the majority of his time onscreen, and his commitment to this character guarantees that those scenes are riveting. Tom Hardy is once again an utterly compelling presence as Glass’s nemesis John Fitzgerald. Other actors might have read this character as flatly backwoods evil, but Hardy never forgets Fitzgerald’s humanity, giving the villain depth, humor, even sympathy. The balance of the cast manages to keep up with these two heavyweights. Particularly effective is Domhnall Gleeson, who’s having another solid year. He plays the commander of Glass and Fitzpatrick’s ill-fated expedition. He’s the memory of civilization in a film that quickly erases all traces of progress and comfort. Of equal importance to these performances is the imagination Inarritu brings to bear. It guides Emmanuel Lubezki (another Oscar winner for Birdman), whose magical camera, like a careening ghost, weaves through carnage and nature before circling into the heavens. The sound design is equally spellbinding, the score itself sometimes a blend of the music of snow crunch, whispered voices, and the haunting ring of the wind. This is a lonesome, brutal journey often punctuated by a remarkable tumult of violence. The grizzly attack that sets off Glass’s downfall is likely the most visceral, jaw-dropping image we’ll see this year. Outside these flashes of punishing action, The Revenant offers a slow build and asks for your patience. At 156 minutes, the film is long, but is there any other way to do justice to Glass’s ordeal? After winning the Oscar last year, Innaritu takes that human journey toward redemption to the out of doors with a brutally gorgeous, punishingly brilliant film.